With every visit, each year without a trust fund, I try to find fault in this privileged place. And every time I love it a little more. Here’s why. Aspen, Colorado (population approximately 7,300), is known worldwide as a place of privilege. The iconic, celebrity-landed mountain town sits at 8,000 feet in a jaw-dropping high-alpine landscape. The town has been ranked the most expensive in America and is regularly at or near the top of the list for priciest real estate in the world. You come here to buy at least a second home (or a $600,000 single-family in a trailer park). Despite its lofty status, I’ve come to appreciate Aspen. About once a winter, I hit up a friend to crash at a condo in downtown Aspen with kids and hubby in tow. Driving up from the Front Range between unprecedented interstate avalanches recently, we hit the jackpot powder weekend. In fact, a guy on the ski bus said it was the best snowfall he’s seen in 25 years in Aspen. Certainly, the snow helped me love this exclusive mountain town. But honestly, so did the bus. And the carpool pass. And the free parking. 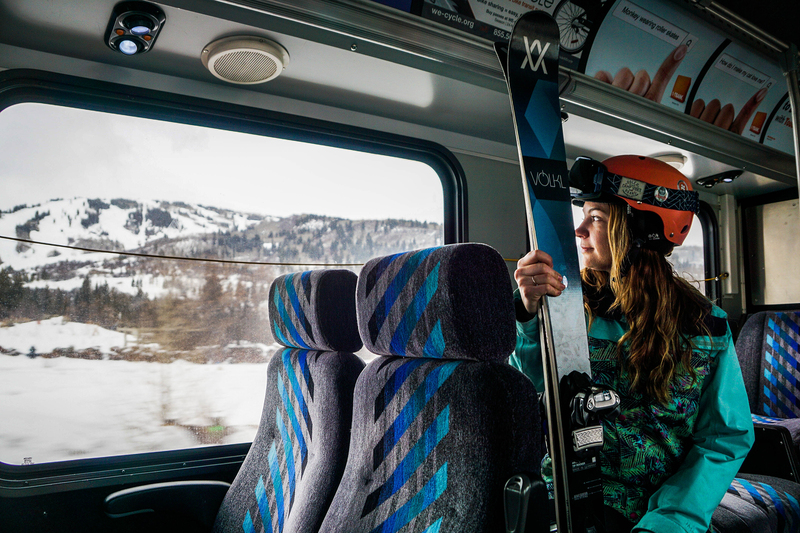 Aspen has transportation absolutely dialed. And the ease of access was one of the most refreshing things I’ve experienced at a ski mountain or town in a very long time. 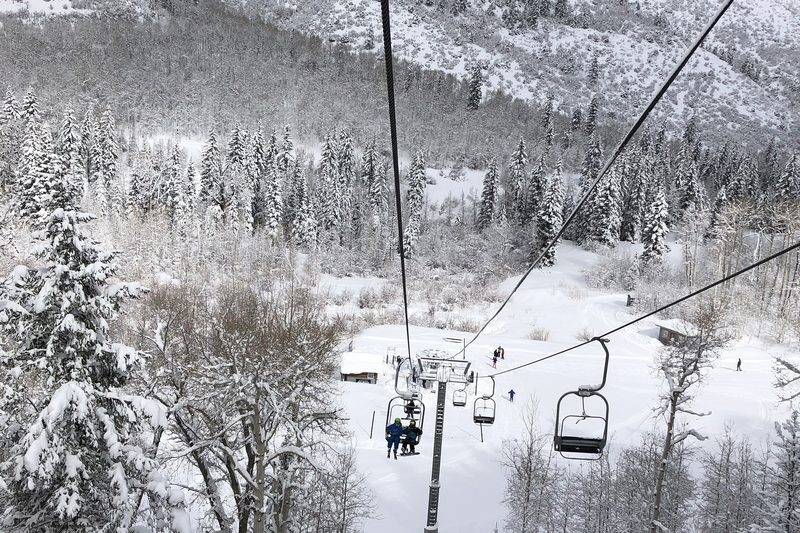 We skied three of the four mountains in the Aspen Snowmass family — in-town Aspen Mountain, massive Aspen Snowmass, and expert haven Aspen Highlands. Because we had a family of four, we qualified for a free pass to park in neighborhoods coded with certain letters. The spots were close to the Aspen Mountain base area, and we were happily turning in powder by 11 a.m. after a 3-hour drive. The second day we walked about two blocks to the central transportation hub in downtown Aspen and caught a free bus directly to the base of Snowmass, which left about every 10 minutes on a Saturday. Easy. And the third day we drove to Aspen Highlands, just outside town, because we were planning to head home right after skiing. We pulled in a parking garage very close to the mountain village and were handed two tickets by the attendant. “When you leave, insert this one, followed by this one,” he said. Weird. But it worked. The first read off the rate for slopeside parking. The second one made it free. And we weren’t special. Everyone got the same perk. Seriously? But easy and free transportation is just the start. Let’s call a spade a spade: A single-day ski lift ticket in Aspen costs $174. We were skiing for three days, and the three-day pass price is almost $500. That’s why even out-of-staters are taking advantage of Colorado’s multi-resort season passes, which can be remarkably cheaper. 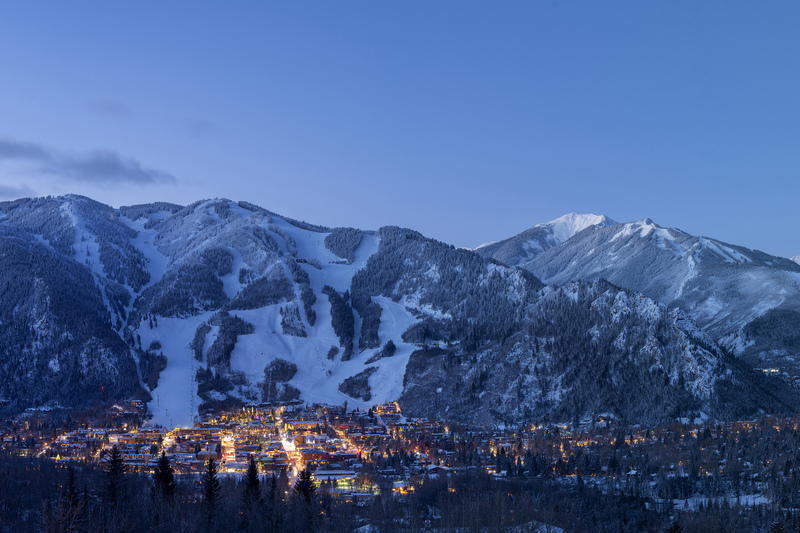 This year Aspen joined the Ikon pass, which starts at $650 for access to 38 destinations, including 5 days at Aspen (with some blackouts). But we didn’t have the Ikon this year. 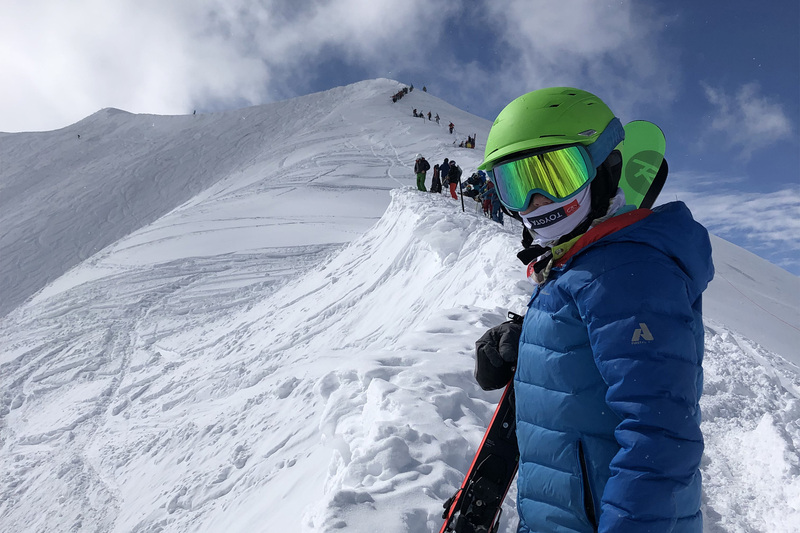 Our impetus for checking out Aspen was my son’s Fifth Grade Passport, a program run by Colorado Ski Country USA that gives every fifth-grader in Colorado free skiing for 3 days at all 22 resorts in the state. With four wildly different mountains, all within minutes of town, everyone of any ability can find terrain that makes them feel good. Winter X Games elite athletes hit Aspen’s terrain park-heavy Buttermilk every year. Aspen Mountain is available right from town. Experts can constantly uncover new lines at Highlands. 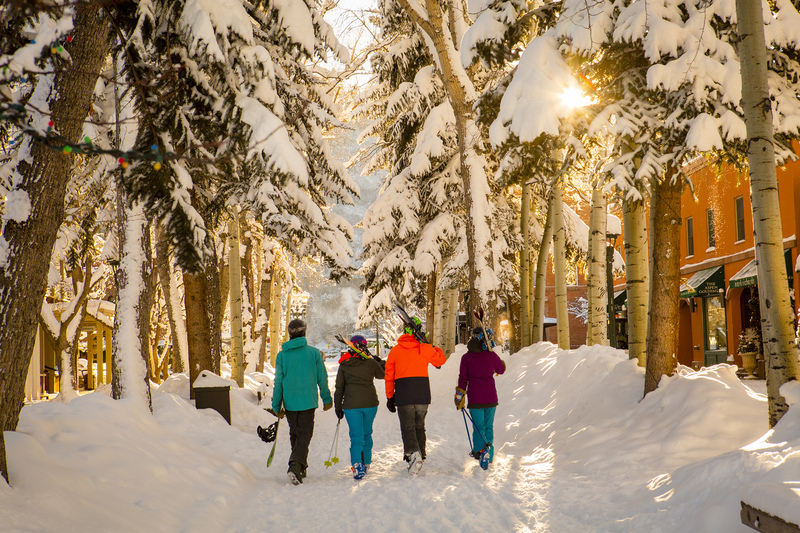 And families can find endless adventure at Snowmass, with over 3,300 skiable acres. And, as I mentioned, it’s free to get there. There aren’t any. OK, we visited on a non-holiday March weekend, but still. It had just snowed over 50 inches in a single week. And we still walked on every lift. In fact, we complained that we didn’t have enough time to rest our legs from plowing through powder. Thanks, Aspen. Now my kids are spoiled brats. I won’t stretch the truth by telling you that you’ll never encounter a lift line at an Aspen resort. 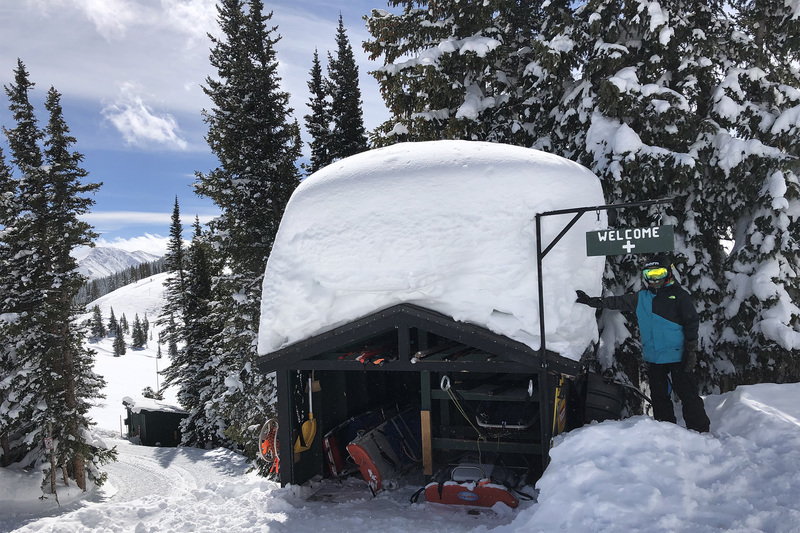 But there are two reasons that lines are now a rarity here: First, Aspen is the only town in Colorado that has four ski areas to spread visitors out, and most pleasantly by ability level. And second, anyone who buys the cheaper Ikon base pass is blacked out from using it on the top holiday weekends, cutting the crowds way down. There will never, ever be another town like Aspen. You can almost ski onto Main Street. There’s a Gucci store, where you can watch the 1 percent shop. Note: The Aspen consignment store is right around the corner if you’re in the downmarket. There’s Wagyu that costs hundreds to consume. 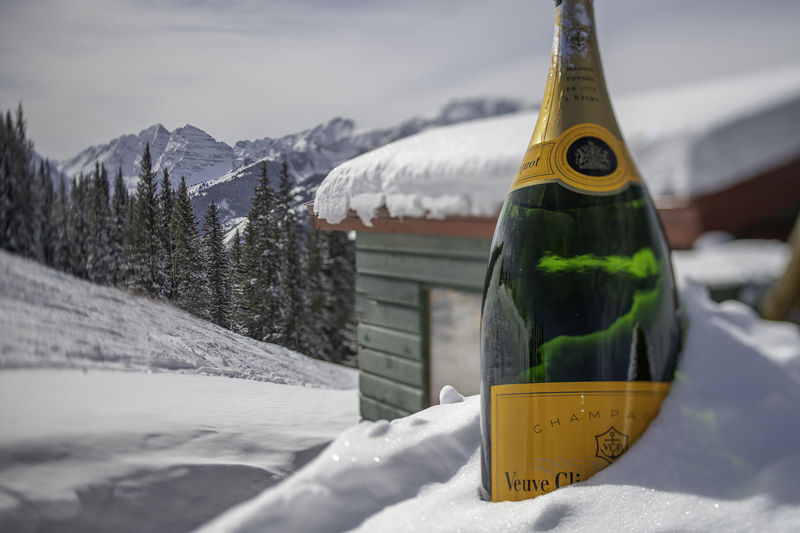 And the super wealthy sip champagne at Cloud Nine Alpine Bistro more than anywhere in the world. It’s the No. 1 buyer for Veuve Clicquot. But there are also historic family-friendly places like our favorite, the Red Onion. It’s a special place that has stood since the late 1800s — and where a quinoa salad and beer won’t set you back a Gucci belt. 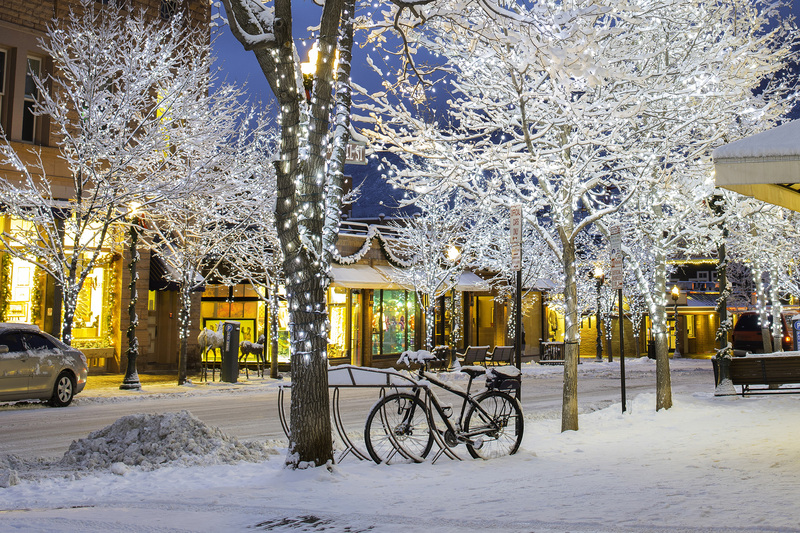 This story is about visiting during the season that first made Aspen so attractive — winter. But it’s just as beautiful in summer, and maybe cheaper. All those mountains you pay to ski on when covered in powder are free for the taking in summer. And a hike to one of the state’s most iconic destinations, the Maroon Bells, doesn’t cost a dime. That’s good because those of us in the working classes can spend it on a place to crash when we’re done. If other options like the Molly Gibson Lodge are too pricey, consider staying “down valley” in Basalt, Carbondale, or Glenwood Springs and hop a regularly scheduled bus to Aspen. Or camp. Sure, us regular folks will never experience the town like the people with fourth homes there. But that’s not the point. Aspen is an entitled enclave. But I’m less of a hater for it.